So named after the local, Catanese family of (daughter) Sandra, Rosario (Rori) & his wife Cinzia Parasiliti – esSeRCi! – SRC Vini is a brand new producer on Sicilia’s Monte Etna. In 2013 Cinzia & Rori Parasiliti were inspired to buy a small vineyard by their old family friend, Alberto Aiello Graci, whose cantina they had visited in 2010. In fact, Rori gave his wife the first 0.5ha of contrada Crasà in the village of Solicchiata/Castiglione di Sicilia as a present; so pleased was she that he promptly bought the other 0.5ha to complete the vineyard! Rori & Cinzia then set about making the vintage 2013, 2014 & 2015 wines in a garage close their vineyards. Meanwhile they enlarged the property, buying the contradas of Calderara, Rivaggi & Pirao in Randazzo, plus Barbabecchi in Castiglione di Sicilia, taking it to 8ha. The vineyards range in altitude from between 600m – 1000m asl, on the sought after north-west facing slopes of the volcano, on ancient, fertile lava & more recent, less fertile (1981!) magma flows; key is the ginestra/bloom that breaks down the rocks with their roots! Rori is meticulous in the vineyard, that have been organic since acquired (although being Etna, disease pressure is naturally low), while they are now seeking certification. Vine age of the free-standing alberello Nerello Mascalese & Granaccia plants is circa 80 years old, while VSP/spalliera rows are of younger vines (for the Rosato & Bianco). They also grow some Minnella, Catarratto & Carricante for the Rosato & Bianco. In 2016 they built a new cantina, installing new cement instead of many of the stainless tanks, which Rori would prefer not to use so much; tonneaux being replaced with botti grandi. Fermentations of the reds are in round plastic open tubs, with approx. 15 days on the skins, followed by malo in stainless-steel or cement. Their ‘SRC’ (from vintage 2017 ‘Etna Rosso’) is vinified solely in cement, as is their top Nerello Mascalese wine ‘Alberello’; ‘Rivaggi’, a blend of Nerello Mascalese & (20%) Granaccia sees stainless-steel & 2 months in used 500-700litre tonneaux. They also make a Bianco & original Rosato, an historic blend of 70% Nerello Mascalese & 30% Minella, Catarratto & Carricante! They currently make 18k bottles from 8ha, thanks to naturally low yields of circa 15HL/ha, hence average production/wine: c. 1.3k bts of Rosato, 1k bts Bianco, 10k bts of SRC, 1.9k bts of Rivaggi, & 1.9k bts of Alberello. And thanks to the fastidious work in the vineyard – Rori has a team of 4 people – the wine is bottled with approx. 65mg of total sulphur, or c. 10 mg free, so keeping them fresh & precise. As does Francesco Versio, their new consultant. 2018 Rosato – Tasted April 2019 from tank. To be bottled in May and released in June. 2018 was quite a wet year, with a lot of rain in August. 20 to 30% of the grapes were lost due to the excessive rain, which only stopped at the end of September, allowing the grapes to eventually reach full ripeness. Harvest took place 22 October (as usual). 60% Nerello Mascalese from Crasa, 30% white grapes (Minella, Trebbiano, Carricante, Cataratto), and 10% Sangiovese/Grenache from Calderara. 40hours skin contact during fermentation (the relatively cool vintage allowing for a little longer than the usual 24hrs), then the first juice straight into cement, to which the second pressed juice is later added. Pulpy and juicy blood orange, grapefruit and little red cherries, so alive, mineral and fresh. Bitter orange and cherry core. Very bright, with gentle tannins, and good length. A very versatile food (or apero!) wine. 2013 Rosato – tasted May’18, the wine of which Rori is arguably most proud! Indeed the 2013 was his first ever wine, producing all 800 bottles of it. And the secret of its success, & longevity: a blend that includes 30% white grapes of Minella, Carricante & Catarratto (that & the DIAM10 cork!)! The rest is Nerello Mascalese, from his Castiglione di Sicilia contrada of Crasà, macerated for 48hrs before being racked off the skins. Hence the beautiful rich rose/mandarin colour, full, still very fruity & fresh (sealed with a DIAM10), zippy, rich with bitter orange fruit. Impressive & delicious too! 2018 ‘Pirao’ Bianco – Tasted April 2019 from tank (fine lees had just been removed). To be bottled in May, and released in June 2019. 95% Carricante, the rest Grecanico. Single vineyard Contrada Pirao – 1000m asl! It is thought that the vineyard name stems from the local word for wild pear tree. Circa 40yo vines. 3 days skin contact. Pirao’s altitude and big diurnal temperature range (lows of 10 at night and highs of 30 in the day during Summer) cause for thicker skins, that hold greater flavour and structure. Rori feels the wine benefits from longer maceration, to add character and complexity. Indeed, it is beautifully perfumed and rich: white flowers, orange blossom, mandarin, almond, and maybe unsurprisingly….pear! So textured and mineral with lovely mouthfeel. Intriguing, bright, sapid and rich, much more concentrated than the straight Etna white. Stainless steel only. Then next yr the plan is to use cement instead (and possibly a part in acacia wood botti grandi, before longer ageing in bottle to make it a riserva). Almost Jura esque in it’s texture and weight, but with the spine of racy acidity that is undeniably Etna! 12% alc. 2017 ‘SRC’ (Etna) Rosso – Tasted mid- April 2019 from bottle (was bottled start of April 2019). Fruit from the contradas of Crasa and Calderara, 80 year old vines at 650m asl. 2017 was fairly warm and dry, with almost no rain! At end of September it started to rain so the grapes gratefully soaked up the moisture. Harvest was third week of October. 80% Nerello Mascalese, and the rest Nerello Cappuccio and Mirello Rossa. 3 weeks maceration during fermentation. Malolactic in botte grandi then into cement. Gorgeous red fruit nose, red cherry, cherry stone, and blood orange, a little smokey, hint of wild herbs. On the palate pure, juicy and long, with very fine tannins. 14 % alc. 2016 ‘SRC’ (Etna) Rosso – tasted May 2018. Cement only, unfiltered, unoaked, very pretty. 80% Nerello Mascalese, and the rest is made up of indigenous varieties including Nerello Cappuccio, and Mirello Rossa. Lots of cool, crunchy red fruit, blood orange, pomegranate, and silky tannins, herbal notes. Beautifully pure and bright, with energy and finesse. A very complete wine…the equivalent of a classic Barbaresco or Barolo in the Langhe! Approachable even at a young age. 2017 ‘Alberello’ – Tasted April 2019 from bottle – bottled early April. 14% alc. Single vineyard, fruit from the Contrada of Crasà. 100% Nerello Mascalese from very old vines (up to 100yo – pre phylloxera). The soil in the Alberello vineyard is older versus the other vineyards, and softer, less rocky. Very low yields, vines planted at 650 metres asl. Cement only. Pure, focused, and high-toned with perfume of raspberry, dark cherry, floral notes, and coco. Precise and complex, very rich. Elegant tannins, lightness of touch. Immense ageing potential. 2016 ‘Alberello‘ – Lighter in colour and more lively than the Rivaggi. Piercing purity of crunchy red berry fruit, hint of wild rose, very perfumed, cool and precise, with elegant tannins and structure. Great freschezza from the acidity and that mineral edge from volcanic soils. 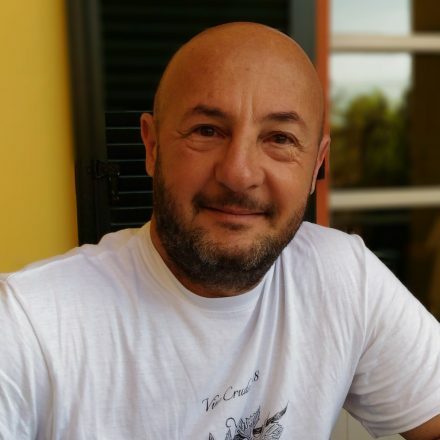 Very concentrated, taught, alive…the Serralunga or Castiglione (Falletto!) of Etna! ?